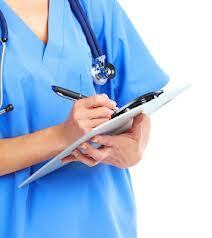 As a nurse who is always on the go, there's no room for errors and inadequacy. We carry around a lot of things in our pockets and some are even hanging around our necks. We do not have the luxury of time to get things somewhere else, especially if there is an emergency. I have seen some colleagues of mine bringing different kinds of pens that will not either work when accidentally dropped once or worse, when it is newly bought. When emergency strikes, it is such a drag to scrummage for another writing material. It is such a waste of time. One day, it was my rest day and I was able to think of browsing through some internet sites. In one corner, I was able to see an ad from ThePenGuy.com that featured different promotional pens and their brands good for various purposes. There were over dozens of different models available. It is so convenient that they show pictures of the actual product. I managed to search for feedbacks over the Internet and all of them were all positive recommendations. So I decided to give the Option4 Ball Pen from Papermate a try. I chose this brand because it was widely popular to anybody who has seen a writing material. I also chose this specific model because this kind of logo pen has four different inks in one casing. It is so convenient and suitable for a nurse like me. I do not have to bring a lot of these since the different inks that I need are already in one stylus! Since they are advertising it, it must be good. I decided to give it a go and purchase it. As an operations manager in a big call center, I have a lot on my hands balancing between pleasing the clients and the front liners, the call center agents. Our clients are big telecommunications companies and there is a lot of pressure making sure that employees come on time and provide the best customer service experience to the callers. 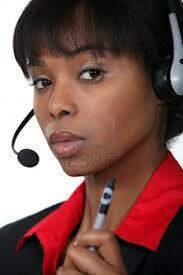 Because they have to deal with complaints on a daily basis, the agents are often late or even worse, absent. This is not acceptable since one missing agent could mean the service level going down and the clients breathing down my neck about it. Most of my performing employees get demotivated when they do not receive anything in return for their efforts. Instilling fear in them is not my kind of management. I do not want them to dread going to work and I certainly do not want them to lose their jobs as times are hard nowadays. With the failing economy, it is hard requesting for additional incentives. I am sure there are other ways to appreciate a person who makes a customer smile.